Home Blog Are consumer price index linked bonds the way out of the inflation mess? One must have heard the famous saying “Law of inflation .whatever goes up will go up some more. One certainly knows what this means. What is there today is there tomorrow. Only the prices have increased. 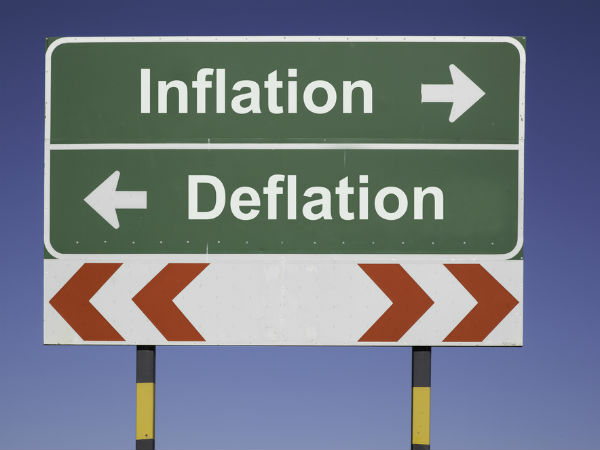 The consumer price index and the wholesale price index which measure inflation are trying to out beat each other. One remembers the skyrocketing onion prices a few months ago and how one had to stand in a long queue fighting for that bag of onions. The runaway inflation in the prices of food grains, onions and potatoes can topple Governments. Governments the World over risk the ire of people when they impose measures to control inflation even at the cost of the growth of the economy. This trend is noticed in India mainly the rising interest rates used as a measure to curb inflation. But does this problem really affect me? Don’t I have the old warhorse backing me known as the bank fixed deposit? Are investments in fixed deposits a way out of the inflation jig saw puzzle? One must be wondering what is meant by the real rate of return on an investment? Many a time one makes an investment in a bank fixed deposit where he gets a certain fixed rate of return. One also needs to consider the effects of inflation on this invested amount. If the rate of inflation exceeds the interest rate offered by the financial instrument in this case a bank fixed deposit it results in the returns being negative .This is known as the real rate of return. Mr Rakesh 35 years of age has invested a sum of INR 1 Lakh in a bank fixed deposit for the period of 2012-2013. He is offered a rate of 8.5% per annum on this deposit by the bank. This amount grows to INR 108500 after a year as interest rate offered is 8.5% on 1 Lakh. Mr Rakesh is pleased as he thinks his investment has grown over a period of a year. But has his investment really grown? What is Mr Rakesh’s actual return known as the real rate of return in the time period? Mr Rakesh invested INR 1 Lakh in a bank fixed deposit for the time period of 2012-2013. The inflation rate as per the consumer price index was an average of 10% in the period January 2012-December 2012. The value of INR 1 Lakh after a year is only INR 90000 as inflation has eaten into it at a rate of 10%.This basically means that due to inflation what was INR 1 Lakh a year ago is now worth only INR 90000. Similarly interest component of INR 8500 is subjected to inflation at a rate of 10% and its value is INR 7650.Even though the rate of interest offered is 8.5% inflation has eaten out 10% of this and the interest value is 8.5% minus 0.85% which is only 7.65% or as good as it owing to inflation. This means Mr Rakesh true value of the investment or the real rate of return is INR 90000 + INR 7650=INR 97650. This is actually a negative value compared to the amount which was invested as INR 100000 – INR 97650 = INR 2350. This implies a loss of 2.35% on the investment in the bank fixed deposit. This basically means that a fixed deposit actually gave a negative rate of return in a time period of a year. Inflation makes Mr Rakesh’s earnings worthless over a period of time. This means he is trying to play catch up in a losing cause. This would nullify any plans Mr Rakesh would have if he invests in a fixed deposit. Even though fixed deposits provide capital protection mainly the protection of the principal as well as promise capital appreciation through the interest component the real returns are negative. The effects of this would be the complete failure of all Mr Rakesh’s financial plans in the long run. This could be saving for the education of his children as well as his daughter’s marriage. Still think fixed deposits are a solution to the inflation problem? What are the salient features of a consumer price index linked bond? One can purchase these bonds only if he is a retail investor. These bonds are issued by the RBI and have a Sovereign guarantee. These bonds have a face value of INR 5000.The minimum amount one can invest is INR 5000 and the maximum amount which can be invested in these bonds is INR 5 Lakhs. These bonds give a rate of interest which is 1.5% above the combined consumer price index whose Base year is 2010.If the CPI has an average value of 10% in a particular year the rate of interest offered is 1.5% above this rate or 11.5% rate of interest .This is higher than most fixed income securities. The interest is not paid out but compounded half yearly. The term period for the bond is 10 years. These bonds can be purchased in one’s name, jointly with one’s spouse or even in the name of a minor child. Senior citizens above 65 years can redeem the bond prematurely after holding it for a period of a year. If one is not a senior citizen he can prematurely redeem these bonds after a period of 3 years. In case one withdraws these bonds prematurely half the last payable interest is charged as a penalty. One can use these bonds as collateral to avail of a loan .These bonds are available at all nationalized banks. If one is an NRI he cannot purchase these bonds. However he can be a nominee to such bonds. If one is approaching retirement this bond is a good option. So how do these consumer price index linked bonds work? The following chart shows the CPI data for the Year 2012-2013. Let us consider Mr Rakesh invested INR 50000 in a consumer price index linked bond in the month of January 2013.His returns need to be calculated keeping in mind the base inflation index notably CPI index three months prior to this particular month. The value of the CPI index taken three months earlier is 124.9 corresponding to October 2012. Interest or coupon payments are compounded half yearly and one has to calculate interest payout in the month of July 2013.In order to do so one considers the CPI inflation index three months prior to this date which is April 2013 index valued at 128.1. One knows that the returns offered in consumer price index linked bonds are 1.5% above the consumer price index on a yearly basis. This translates to 0.75% on a half yearly basis. The coupon rate payable in the month of July 2013 is 2.56% + 0.75% = 3.31%. This interest is added to the principal amount which translates as 3.31% on INR 50000 which is INR 51655. = INR 50000 * 0.0331 + INR 50000 = INR 1655 + INR 50000 = INR 51655. The next interest payment is made on January 2014. The value of the CPI index taken three months earlier is 137.5 corresponding to October 2013. The coupon payable in the month of January 2014 is 7.33% + 0.75% = 8.08%. 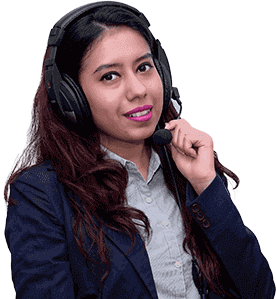 This interest is added to the principal amount which translates as 8.08 % on INR 51655 which is INR 51655* 0.0808 +INR 51655 = INR 4173 + INR 51655 = INR 55829. One notices that Mr Rakesh has invested INR 50000 which is now INR 55829 after a time period of a year. This translates to a rate of return of 11.66% in a time period of a year. Inflation was around 10% on an average in the Year 2012 and this return was 1.66% higher than the average. One can conclude that higher is the inflation better are the returns from these bonds. Even if inflation is negative mainly deflation prevails the minimum return offered by these bonds is 1.5%. How are consumer price index linked bonds taxed? Interest earned on this bond is added to ones annual taxable income and taxed as per the income tax slab one falls under. If one has an income in the range of INR 5-10 Lakhs and is taxed at 20% then these bonds prove useful. This bond is useful for individuals in the lower tax brackets. What are the risks of investing in a consumer price index linked bond? If one looks at the chart shown above he would notice that food inflation is close to 50% of the CPI . A drastic fall in the prices of food, beverages and tobacco could send the CPI on a downward spiral. The returns on these bonds could go lower than a fixed deposit under such conditions. However since food prices are currently high this scenario would not play out in the near future. Interest rate risk is high in these bonds. When interest rates rise and out beat inflation in spite of these bonds giving 1.5% above the CPI index they could lose out to bank fixed deposits. I would like to end this article stating that inflation is a problem one faces currently as well as in the near future. If one believes that inflation would be strong in the next few years then these bonds are a good investment as these bonds help to beat inflation in the long term. These bonds could strengthen ones investment portfolio.